My name is Bryce Askey, and I am an 3rd year undergraduate student at the University of Florida, currently pursuing a dual degree in Horticultural Science and Biological Engineering. Before coming to the university, I hadn’t had much exposure to the field of plants nor agriculture, as the sciences I chose to study in high school were physics and chemistry. As a result, I originally was considering a major in chemical engineering. It wasn’t until spring of my freshman year that I discovered my passion for agriculture through volunteering with the Organic and Sustainable Agriculture Club (OSAC) at my university. Working in the on-campus Field and Fork gardens, talking with the other student volunteers, and learning about sustainable agricultural practices, I became aware of my interest in agriculture and my desire to improve its sustainability. After talking with advisors in both the Biological Engineering and Horticultural Science departments, I decided that a dual degree would be the best option for me. My advisor in Horticultural Science also introduced me a researcher in the department, Dr. Jeong Im Kim, whose lab I am currently working in. Dr. Kim has provided me with incredibly helpful guidance regarding my future studies, and I am very grateful for her support and belief in my abilities. This fall and spring semester, I will be working on a project in her lab, funded by a scholarship from the University Scholars Program at my school. I am excited to continue work on this project, as well as continue my studies in Biological Engineering and Horticultural Science. I am currently a senior pursuing a Bachelor’s degree in General Biology from Eastern Connecticut State University. As a student in Eastern I have been fortunate to work in research labs of my professors. After taking Botany and Plant Physiology courses with Dr. Ross Koning, I was truly inspired by the field of plant science. Driven by the inspiration, I conducted a sophomore supervised study with him. During my junior year in Dr. Vijaykumar Veerappan’s laboratory, I characterized a novel mutant chicken foot nodule cfn defective in root development and symbiotic nitrogen fixation in model legume plant Medicago truncatula. I am applying forward genetics approach to discover genes that are involved in symbiotic nitrogen fixation process. During summer of 2018, I spent my time purifying genomic DNA from cfn mutant and sending samples for whole genome sequencing. I designed primers to perform linkage mapping and performed co-segregation analysis of mutant plants. My independent study for senior year is focused on characterizing more mutants that are defective in symbiotic nitrogen fixation and identifying the causative mutations underlying the mutant phenotypes. Working in Dr. Veerappan’s lab has truly aspired me to pursue a plant science career. Due to the progress in my research I was awarded Summer Undergraduate Research Fund (SURF) by ASPB. I also got department scholarship such as Marc Freeman Summer Scholarship and Biology Undergraduate Research Grant (BURG) in 2018. When I’m not in lab I tutor for Biology and Chemistry in the campus. I like to spend time with kids or in the community centers and library. I love to travel and make new friends. Upon completion of my undergraduate studies, my goal is to pursue a Ph.D. program in Plant Genetics and Breeding. Plant Breeding is a fascinating field because it not only involves understanding the genetic basis of traits, but it also readily allows us to manipulate crops to improve agriculture and food production. From modern technological advancement such as DNA recombinant technology, many possibilities have flourished. Especially, the developing countries still lack such technological advancement and there is high rate of malnutrition and starvation. That’s why I would dedicate my career to Plant Breeding, so I can contribute to improve quality of life in many families. My name is Tim Burnette and I am originally from Bedford, VA. I am a senior Biology major at Grinnell College in Iowa, USA, and I love plants! Plant biology has always been a primary interest of mine as I grew up in rural Virginia on a cattle farm; from an early age, it was clear that I had a green thumb and my many years after that in the garden demonstrated that in (vegetable) abundance. Currently, I am in the process of applying to PhD programs in the United States, a Fulbright to study crowberry in Norway, and a Churchill Scholarship to complete a Master’s of Philosophy in Plant Sciences at the University of Cambridge. My research interests lie in plant ecophysiology; I have spent the last two years examining responses to drought and developing a framework to consider adaptations in two different systems: The Clarkia genus (Onagraceae) and the Coloradan xeric tallgrass prairie. This former work has been mentored by Dr. Vincent Eckhart (Grinnell College) and the latter by Dr. Katharine Suding (University of Colorado Boulder). In the future, I intend to continue researching on this topic of drought stress, but also more broadly on environmental stressors and plant responses. I plan to use my research in the classroom as a professor, but I also want to share my work with non-botanists. I love plants, and I don’t want to be the only one around who is interested in them. I love telling people about all of the cool adaptations that plants have, sharing with non-botanists all the exciting and unique traits. I’m just as passionate about teaching others about plants as I am about plants themselves. In my mind, sharing what we already know about this diverse kingdom is just as important as learning more about it. In my spare time, I love running and watching RuPaul’s Drag Race (read: Asia O’Hara’s Drag Race). I am also extremely active in the low-income student community, where I have (a) co-founded a textbook lending library, (b) performed a case study and published research on belonging at liberal arts colleges across social class, and (c) collaborated with the Grinnell President’s Office and Student Affairs to enact changes across campus. I was born in Malaysia, inspired by the advancement in science in the United States, I came to the US for my undergraduate studies and obtained my B.S. in Biochemistry at the University of Nebraska-Lincoln in 2015. I am currently a second-year graduate student in Agronomy studying the interactions between associative nitrogen-fixing bacteria and cereal crops especially sorghum. The use of associative nitrogen-fixing bacteria on plants is a potential solution to reduce environmental pollutions due to the leaching of nitrogen fertilizers. To identify the diazotrophs that reduce sorghum nitrogen stress, I conducted an inoculation experiment, integrating high-throughput phenotyping tools to assess the morphological and physiological development of sorghum due to the addition of microbes. I am also looking at the microbial communities recruited by sorghum lines with different susceptibility to nitrogen stress. My next step is to sequence the genome of these microbes to determine their potential plant growth promoting abilities other than fixing nitrogen. In the future, I would like to return to Malaysia and contribute what I have learned to the development of palm oil industry by improving the productivity and quality of palm trees, ultimately reducing the destruction to the natural environment especially the rainforest due to agricultural purposes. I completed my undergraduate degree in Biochemistry with a minor in Food Science at the University of Missouri, Columbia. There, I worked as an undergraduate researcher for four years in the lab of Dr. Antje Heese where I studied the role of vesicular trafficking in plant innate immunity in Arabidopsis thaliana. One of my independent projects in Dr. Heese’s lab was funded by the ASPB Summer Undergraduate Research Fellowship, through which I was able to present at Plant Biology 2017 in Honolulu, HI. I am currently a first-year graduate student in the Section of Plant Pathology and Plant-Microbe Biology at Cornell University. I am completing my thesis research with Dr. Marc Fuchs on the epidemiology and plant-insect-virus interactions of grapevine red blotch disease. I became interested in red blotch disease and plant virology after participating in the Cornell Summer Scholars program with Dr. Fuchs as an undergraduate. The goal of my research is to improve our understanding of the transmission of the causative agent of red blotch disease (Grapevine red blotch virus) and develop management strategies for vineyards. My educational and career goals align with understanding and combating plant diseases to increase food security and sustainability. In my undergraduate coursework I expanded my perspective of agriculture to a global view, through food science study abroad courses in Germany and New Zealand. After earning a Ph.D. I will pursue a research career with a global agricultural company so that I may continue to contribute to food security efforts. I believe that scientists have a commitment towards outreach, and therefore I have sought opportunities to make science accessible to others since my undergraduate studies. In addition to mentoring within the Heese lab, I spread science awareness and information about research opportunities to fellow undergraduates as an Undergraduate Research Ambassador at the University of Missouri. During my next five years at Cornell I will seek out more opportunities to contribute to the public such as the Cornell Graduate Student School Outreach Program for K-12 students and extension efforts for New York grape growers. As a ASPB Conviron Scholar I look forward to further developing my career aspirations and identifying ways in which I can use my research background to make a difference in society. My name is Sami, and I am a student at the University of Vermont. I am graduating with a B.S. in Plant Biology this fall and an M.S. in Computer Science next fall. I am particularly interested in genetics, agriculture, and computation, and I hope to combine these interests through a career in research. For over three years, I have been an undergraduate researcher in Dr. Jeanne Harris’ plant biology lab, focusing on the evolution and development of the symbiosis between legumes and rhizobia bacteria that leads to nitrogen fixation. I received an ASPB Summer Undergraduate Research Fellowship for the summer of 2017, and had the opportunity to present my research as a poster at the ASPB Plant Biology 2018 Annual Meeting. In my free time, I enjoy reading, spending time outdoors, and playing the saxophone. I am very excited to participate in the ASPB Conviron Scholars program this year, and am looking forward to continuing being involved in the ASPB community! Originally from Boise Idaho, Mallory Cullen now studies at the University of Idaho in Moscow. Her passions for plant science have led her to pursue a BSc in Biotechnology and Plant Genomics with a minor in German. As a senior at the University of Idaho, Mallory plans to go onto a graduate program when she completes her degree in May. After her studies are complete, Mallory hopes to work in industry, researching agricultural plants for germplasm improvement. Mallory has loved learning everything there is to know about plant science from production all the way to the molecular level. As a summer job, Mallory has worked for Monsanto’s seed production in Caldwell, Idaho. In her role at Monsanto, she was a roguing crew leader and learned everything there is to know about desirable traits in seed production. As she progressed in her studies Mallory learned that her passion lies more in molecular biology. She says that Plant systems, particularly on the molecular level fascinate her. She loves being able to look deeper into how the plants work and how their DNA controls all aspects of the plant’s life. She finds it both challenging to dissect the way in which plants work but simultaneously mindboggling how complex a system can be and just how perfect every part of the system is in order to fit together into one functioning organism. Mallory currently works in Dr. Joe Kuhl’s molecular plant biology lab. In this lab, her work involves running PCR, gene cloning, DNA sequencing analysis, DNA isolation, and working with molecular markers. One of Mallory’s main projects in this lab has involved identifying different alleles in the eIF4E initiation factor in potatoes. Outside of the lab, Mallory is involved in several different activities. She is an active member of her sorority, Kappa Alpha Theta, as well as a member of the Sigma Alpha Pi and the Eta Sigma Phi honor societies. In her college experience, she has played rugby, worked with beef cattle, and studied abroad. With her involvement in her University, Mallory has received 11 scholarships and was nominated as the department of plant sciences outstanding junior of the year at the University of Idaho. I am currently studying for a PhD in Agriculture and Environmental Science, funded by the BBSRC DTP at the University of Nottingham. My main research area is looking the physiological effects of relative humidity on maize and wheat, from a whole plant perspective. I am looking at both above ground physiology such as stomatal functioning and photosynthesis as well as below ground root architecture – through unique x-ray CT scanning techniques. During my PhD I hope to improve our knowledge of the value of plants to improve food security in our changing climate. Along with carrying out cutting edge research I am actively seeking opportunities to gain more experience in science communication, building on my skillset in order to become the best plant science communicator that I can be. I enjoy communicating science on my website, along with YouTube videos, radio podcasts with the university radio station (URN) and outreach events such as Science in the Park (hosted by the British Science Association). I have also been involved in the organising of a science outreach event, Pint of Science, in Nottingham and was the primary photographer for their 2018 events throughout the city. I am also currently the president of the Sutton Bonington Farmers’ Market. This is a monthly farmers’ market at our campus where fresh and local produce is traded amongst students and public alike. During my free time I enjoy hiking, nature photography, exploring, I am a member of the Nottingham Ice Racing Club (short track speed skating) and I also figure skate. I am a fifth year PhD student at Stanford University and am doing my research in the Rhee lab at Carnegie Institution of Science. Before moving to California, I was a “Normalien” student at the Ecole Normale Superieure de Lyon (France), where I obtained my B.S. and M.S. degrees. I also studied for a year as an Erasmus student at the University of Cambridge, and, throughout my education, I had the privilege of doing research in four countries on three different continents (France, Israel, UK and US). As a scientist, I am excited about how fast technological advancements are revolutionizing research, and I find it particularly thrilling to know that the next few decades will be rich in pivotal discoveries; some solving longstanding mysteries, and others offering paradigm-shifting perspectives. I believe that we can expect such breakthroughs to come from studies of the most atypical and unusual proteins that have still not been linked to any physiological functions, and I am particularly fascinated by the new field of phase separating proteins. In my free time, I have enjoyed organizing and participating in various academic events and committees. More importantly, I have been involved in multiple diversity initiatives and outreach programs. Indeed, I strongly believe that, as scientists, we need to do a better job at increasing participation of underrepresented minorities in STEM. For this reason, I am proud to be on the leadership teams of two student organizations that aim to empower minorities: Stanford BioAIMS and GradQ. Outside of school, you will probably find me either watching or reading the news! My Name is Andrew Ogolla Egesa. I am a Kenyan with a degree in Agriculture; Bachelor of Science Crop Improvement and Protection (First Class Honours, December 2015 graduation) from Kenyatta University, Kenya. I have work experience obtained from commercial horticulture as well as agricultural research and extension. I also had an opportunity to work in projects targeting food security and improving lifestyles of farmers in Sub-Saharan Africa, as an intern and later as a Research assistant. Such projects include: EDULINK ESA (Funded by European Union) and Regional Universities Forum for Capacity Building in Agriculture (RUFORUM). During this period, I worked with vegetables, fruits and herbs of high nutritional value (Strawberries, Passion fruits, Mint and thyme). In herbs, my experiments targeted improving expression levels of essential oils, and their extraction processes using homemade processing tools. The work on vegetables involved: plant propagation, pests and nutrition management. Most of the findings were reported in conferences and scientific publications. During field-based experiments, I interacted with farmers facing challenges of poor-quality planting materials, this created in me a desire to embrace new crop improvement tools, such as plant biotechnology systems for development of high-quality crop varieties. In August 2016, I was awarded a scholarship by Germany academic exchange services (DAAD) to undertake master’s studies in biotechnology at Kenyatta University. This opportunity enhanced my understanding of genetic engineering, genetics, tissue culture and molecular breeding, through, courses, workshops and seminars. I have spent part of my second year doing research towards my master’s thesis at Cell Biology and Plant Biochemistry Department, University of Regensburg, Germany, under DAAD short term research fellowship award. The focus of my master’s thesis is on understanding the molecular responses to heat stress in maize at the tricellular stage of pollen development. This research monitors maturation of pollen and pollen development structures (florets and anthers) under elevated temperatures through combining deep phenotyping and gene expression analysis approaches. At present, this work has established potential morphological and molecular markers that would find application in screening for heat stress resilience during reproductive development of maize plants. Upon graduation in December 2018, I plan to enrol for PhD studies in plant biology in a reputable plant science research institute to gain more knowledge on molecular aspects of plant development, especially on how different plant systems change with the prevailing surroundings, and the influence of such changes to growth and performance. In my previous career, I worked in data analytics and geographical information systems in the financial sector. Over time, my fondness for plant life, nature, and scientific research led me back to university, and in 2015 I earned a B.S. in Biochemistry from University of Maryland Baltimore County (UMBC). There I met Dr. Hua Lu, who would subsequently be my mentor in the PhD program at UMBC. Now a third-year PhD candidate, I employ Arabidopsis thaliana to research molecular operators in the crosstalk between flowering regulation and pathogen defense, an exciting field of research that seeks to optimize crop plants, balancing the metabolic trade-off between development and defense. Furthermore, I teach in an undergraduate genetics laboratory, in which I have designed Arabidopsis experiments for students, as well as in Phage Hunters, a teaching laboratory in which student researchers characterize novel bacteriophages during a semester-long experiment. To date I’ve presented my work, earning multiple graduate presentation awards, at several regional plant biology research symposiums. My career goals include training future generations of scientific researchers, building a greater understanding and appreciation of plant science, and conducting meaningful, impactful research that bolsters agriculture and the environment. Outside of the laboratory, I enjoy spending time with my wife and cats, vegetable gardening, volunteering, traveling, and playing the guitar, viola, and drums. I’m thoroughly excited to work with ASPB via the ASPB Scholars Program, and I greatly anticipate the year to come! I am a second-year Ph.D. student in the Plant Molecular and Cellular Biology program at the University of Florida. As an undergraduate at the University of Florida, I majored in Plant Sciences with a specialization in Genetics. I received funding from the Howard Hughes Medical Institute Science For Life program to work on a molecular breeding project with Drs. David Clark and Harry Klee. From this, my interest in genetics and crop improvement grew and I decided to continue my education with a Ph.D. I am under the advisement of Drs. Matias Kirst and Marcio Resende, where I am working towards understanding the genetics controlling nitrogen use efficiency. I am interested in identifying loci that control this quantitative trait, as well as their underlying regulatory networks. These will then be incorporated into the UF Sweet Corn Breeding Program to develop more resource-efficient varieties. I am also working on the gene evolution and regulatory network evolution of root nodule symbioses with nitrogen-fixing bacteria. Understanding the evolutionary significance of genes in pathways can provide insight into their physiological significance and help identify potential candidates for engineering this pathway into other organisms. An aspect of this research is developing bioinformatic pipelines, which will allow researchers to make sense of “big-data”. As the Professional Development Chair for UF’s Plant Science Council, I organize events such as academic writing workshops, panel discussions for women and minorities in STEM/Agriculture, and many others with the goal of giving students exposure to skills and tools that will help us grow and thrive after graduation. My volunteering experiences have been centered around the empowerment of children through education, including participating in programs run by the university and partnering with Gainesville’s Girl’s Place. My career goals are to incorporate quantitative genetics, molecular biology, and bioinformatics into plant breeding/crop improvement. I am driven by the possibilities these technologies provide and excited about turning them into solutions to real-life problems. I am thankful and excited for the opportunity to participate in the ASPB Conviron Scholars program and look forward to learning and growing in the year to come. I am a third year PhD student in the Department of Entomology at the University of Arkansas in Dr. Fiona Goggin’s lab for plant-insect interactions. My research is focused specifically on the role of reactive oxygen species, produced in the chloroplast as a byproduct of photosynthesis, in signaling for plant defense to aphids. I utilize reporter gene fusions and fluorescent probes specifically targeted to singlet oxygen, a reactive oxygen species, to efficiently and accurately quantify singlet oxygen accumulation in plants to characterize the impact on aphid success. I discovered my passion for research in plant-insect interactions as an undergraduate at the University of Nebraska-Lincoln while working in Dr. Tiffany Heng-Moss’ lab. During my three years in her lab I worked to characterize the molecular aspects of soybean (Glycine max) tolerance to the soybean aphid (Aphis glycines), as well as develop new economic injury levels in the field to improve integrated pest management strategies using tolerance. While at the University of Nebraska I also assisted in teaching various plant and insect classes including Plant Science, Genetics, and Introduction to Insect Science. This experience allowed me to realize my love for teaching as well as research. Outside of the lab and classroom, I am an active member of my department. I have served as the president of the Arkansas Entomological Society to organize a scientific meeting of entomologists from around the state. I have also served two years as the president of the student Entomology Club where our focus is to give back to the community through outreach and extension in hopes of improving the perception of insects by the public. After graduation, I plan to continue researching the molecular aspects of host-plant resistance to herbivores, with the ultimate goal of working in academia with responsibilities in both research and teaching. I am currently a second year Ph.D. student in the Translational Plant Sciences (TPS) Program at Virginia Polytechnic Institute and State University, pursuing a degree in Biochemistry in the laboratory of Dr. Glenda Gillaspy. My main research focus is to study the impact on how plants sense and respond to inorganic phosphate (Pi) stress. I am optimistic that a greater understanding of the molecular and biochemical mechanisms of Pi sensing in plants will provide farmers with a strong foundation for Pi use efficiency. This is especially necessary for nations and farmers without access to chemical fertilizers. My enthusiasm towards plants began at a very young age through helping my father establish our family farm. I have since pursued this interest by obtaining my B.S. of Science in Biology at Bowling Green State University with a central focus in characterizing Arabidopsis thaliana mutants displaying delays in senescence and polyamine content. I have additional research experience in the translational plant science fields through my work at the Ohio State University Agricultural Research and Development Center to develop Taraxacum Kok-Saghz (root rubber-secreting dandelion) as a commercial crop. For my upcoming time in the TPS program at Virginia Tech, I am eager to pursue my current research interest in plant Pi stress response through understanding how Pi sensing is controlled through secondary messenger molecules. I am exceedingly grateful to be a part of the ASPB Conviorn Scholars Program as it will highly benefit my career as a future scientist and as a key player in the development of a stable and global food supply. I look forward to becoming an active contributor to the ASPB scientific community. Kate is a Plant Biology Ph.D. student in the School of Integrative Plant Science at Cornell University. Kate graduated from Washington University in St. Louis with an A.B. in Biology–Biochemistry and minors in computer science and ballet. Here she pursued research interests as diverse as microbiology, ecology and structural biochemistry before honing in on her true passion for plant biology. Her research now integrates developmental decision-making in the model plant Arabidopsis, synthetic biology and computational modeling. She enjoys working with collaborators outside of plant biology to discover the deep mechanistic similarities across the tree of life that inspire her. She hopes that the foundational mechanisms she works on will translate into sustainable agricultural solutions for the future. She also hopes to have an impact on her community through outreach activities including yearly science workshops she designs and hosts for aspiring women and minorities in STEM. Kate has been commended with the Presidential Life Sciences Fellowship, NSF GRFP Honorable Mention, Ian D.W. Cramer Prize for Dance, Stanley Spector Memorial Award, Donald Danforth Plant Science Center REU Fellowship and Tyson Research Center Fellowship. Outside of the lab, Kate enjoys yoga, performing with a local modern dance group and taking care of her pet Betta fish, Fluffy. Aleah is currently a doctoral candidate in the University of Kansas Ecology and Evolutionary Biology (EEB) department. She first entered the J. Ward Lab as a post-bacc in the KU-Post Baccalaureate Research Education Program (KU-PREP). During this time, she investigated global change drivers (elevated carbon dioxide and temperature) on plant development and physiology in model plant system Arabidopsis thaliana. For her dissertation work, she is investigating CO2 effects on key floral genes. Aleah received her Bachelor of Science (BS) degree in Biology from Dillard University (an HBCU in New Orleans, LA). Since her undergraduate years she has held membership in the Ecology Society of America (ESA). She also maintains membership in the American Society of Plant Biologists (ASPB). Aleah is broadly interested in plant biology and had the opportunity to be a participant in the 2017 Frontiers and Techniques in Plant Science course at Cold Spring Harbor. In addition to her research, Aleah is very passionate about outreach and increasing participation and retention of underrepresented groups in STEM fields. She is a founding member of Jayhawks Breaking Barriers (ku.jbb.edu). This program was funded through a CAP grant by the American Association for University Women (AAUW). As a co-author and JBB leadership team member, Aleah organized workshops and panels to raise awareness of the gender leadership gap in STEM fields. Now that the program has evolved into a course for undergraduate students, Aleah works with the JBB Research Committee to assess the efficacy of the course objectives on encouraging upward mobility in STEM among underrepresented groups. I am currently a 4th year undergraduate in Dr. Judy Brusslan’s Molecular Plant Biology lab at California State University, Long Beach. I am a fellow of the NIH-funded Research Initiative for Scientific Enhancement (RISE) program, which prepares undergraduates for graduate school and research careers. With this funding, I study theregulation of age-dependent leaf senescence in Arabidopsis thaliana. The goal of this project is to identify flowering-time specific gene expression changes that signal the onset of age-dependent leaf senescence. atx1,atx3,atx4 triple T-DNA mutants display significantly early flowering coupled to a significantly early senescence phenotype. Using an RNA-seq timecourse strategy, I identified differentially expressed genes in the early flowering triple mutants versus the vegetative WT plants of the same age. I am now screening mutants in differentially expressed candidate genesfor temporally uncoupled flowering and leaf senescence phenotypes. After completing my bachelors, I will apply to graduate school. I would enjoy continuing my education in Molecular Plant Biology or Genomics. I am learning piano and taking American Sign Language classes. I want to be able to offer interpreting services at scientific conferences to help make STEM more accessible to deaf and hard of hearing researchers. I also have experience in STEM outreach. I volunteered at the CSULB Science Learning Center where I was in charge of taking care of animal exhibits and giving presentations to elementary school students. I look forward to actively participating in the 2018/2019 ASPB Conviron Scholars Program! Emmanuel Nkemakolam Iwuala is a young male researcher in the field of Plant Physiology. He hail from Amauzari, Imo state. Nigeria. Emmanuel bagged his Bachelor’s Degree in Plant Science from the University of Jos, Nigeria in 2010 and emerged as the best graduating student. He proceeded to University of Lagos, Nigeria for a Master of Science Degree in Botany (Plant Physiology) and graduated with a Distinction in 2014. The quest for more knowledge and desire to be an academia have informed his stride to acquire a Ph.D degree. Emmanuel is currently a doctoral student at University of Lagos, Lagos, Nigeria. Emmanuel has co-authored five articles on drought stress effects on cereal crop (maize, pearl millet) respectively. These include; Differential Traits of two Genotypes of Pennisetum glaucum (L.) R. Br. under Simulated Drought condition Vegetos 31: 115-180. Differential Response Strategies by Zea mays L. and Pennisetum glaucum (L.) R. BR. Genotypes under Drought Stress Ccondition. Plant cell Biotechnology and Molecular Biology 18:489-499. His doctoral research is in line with one of the sustainable development goals which is Zero Hunger with emphasis on the molecular characterization of genes in maize and pearl millet under drought stress condition. He is a 2015 fellow of the The World Academy of Science (TWAS) and Department of Biotechnology Postgraduate fellowship. A 2017 recipient of Association of African Universities Internship Grant and thesis Awarde. He has been a student member of the Botanical Society of America (BSA) (from 2016 till date) and Botanical Society of Nigeria (BOSON) (from 2014 till date). Also a 2018 scholarship awardee to attend a training on Molecular Biology and to participate in U.K Africa Food Security Symposium in the Department of Plant Sciences, University of Cambridge . He also took part in both oral and poster conference presentation in India and France respectively. My name is Ruth Jean Ae Kim. I am a second year Ph.D. student in Dr. Meng Chen’s lab at UC Riverside. I am originally from the San Francisco/Bay Area, CA. I received my B.A. in Integrative Biology with Dean’s Honors at UC Berkeley where I was a research assistant in the undergraduate research apprenticeship program working on the role of miRNAs in plant innate immunity in tobacco at the USDA Plant Gene Expression Center in Dr. Barbara Baker’s lab. Driven by my passion for research and the field of plant biology, I then continued to work at the Carnegie Institution for Science Department of Plant Biology at Stanford University in Dr. Sue Rhee’s lab where I characterized predicted novel transcriptional regulators of abiotic stress response in Arabidopsis and presented a poster at the Carnegie Summer Internship Program. I am particularly interested in how plants are able to adapt to environmental changes. Currently, I am working on a project focusing on light and temperature response in plants. My project involves the use of molecular and cellular biology techniques to elucidate the function of nuclear bodies called “photobodies” and how they regulate thermomorphogenesis in plants. The future implications of my work may reveal the mechanisms behind how plants are better able to cope with higher temperatures in the face of climate change. Since my years as an undergraduate, my passion for outreach and building a sense of community has continued during my time at UC Riverside. I am part of the STEAM Storytime program where I go to public libraries and read science books to children ages 4-11, and lead a demonstration related to plant science. I ran a booth at Plant Discovery Day, hosted by the Department of Botany and Plant Science, where local fifth graders come and learn about plant science and college opportunities. As a mentor in the CONNECT program, an international student mentorship program, I help international graduate students transition to life in the U.S. and give them support and community. In my future career, in academics or industry, I plan to communicate my science to the greater public and foster the next generation of plant scientists. I look forward to meeting and collaborating with new people and furthering our knowledge of plant sciences and I am thankful for the opportunity of being an ASPB Conviron Scholar. Laura Klasek is a fifth-year graduate student in Plant Biology at the University of California, Davis. In her fifth-grade science class, she learned her first definition of photosynthesis: “sunlight plus water plus carbon dioxide yields food for the plant and oxygen for us.” She continues to be inspired by the endlessly fascinating process of how plants produce the raw materials from which they craft every part of themselves and supply us heterotrophs with what we need to survive. She received her undergraduate degree from Hendrix College, where she double-majored in Biology and English with a creative writing focus. Her undergrad research investigated how seeds move to new environments and if some modern North American plants, like the American persimmon and pawpaw, may have relied on extinct mammals like Mastodons to distribute their seeds. As a graduate student at UC Davis, she joined Dr. Kentaro Inoue’s lab and, since his unexpected death, continues her research with Dr. Steven Theg. Her project examines how the photosynthetic apparatus of the chloroplast develops, specifically how proteins are targeted and folded within the chloroplast, to facilitate improvements in how efficiently plants use light, water, and nutrients. Beyond her benchwork, she endeavors to improve mentorship for graduate students by developing new resources for her graduate program and for younger students interested in science through mentoring high school students and undergraduates in the lab and participating in outreach to underserved school districts in the Sacramento area. She loves reading, writing, and experimenting in her kitchen and looks forward to the opportunities this program provides. My name is Ruben Lerma-Reyes and I am a second-year PhD student at Kansas State University in Manhattan, Kansas. I was born in Sombrerete, Zacatecas, Mexico, and was raised in Wichita after moving to the US at the age of 2. I received my BS in Biochemistry from nearby Newman University in 2017, a small liberal arts college. There I discovered my love of gardening after being gifted my first plant, an adorable aloe vera, by my English professor. Afterwards, I began adding more plants to my collection and I was inspired to organize and found the Newman University Gardening Club, to promote eco-friendliness on campus and provide students with access and opportunities to raise plants. I became enamored by the world of plants, as I continued to learn more about the intricate and intimate machinations behind their existence. This set me down the path to become a molecular plant biologist. Currently I am working in Dr. Kathrin Schrick’s lab to further characterize the domains and functions of plant-specific homeodomain leucine-zipper transcription factors in development. Using genetic analysis together with structure-function studies in the plant model Arabidopsis thaliana, our lab hopes to gain a mechanistic understanding of the pivotal roles these master regulators play in epidermal differentiation and patterning. Another related project explores the evolutionary roles that these transcription factors had in the colonization of land by plants ~450 million years ago. As charophycean green algae are the closest ancestral lineage to the land plants, Penium margaritaceum an emerging genomics model system will be used as the representative member for this project. Transcriptome data will facilitate optimization and development of molecular and genetic tools for functional analysis, which is expected to reveal the evolutionary significance of these transcription factors. Outside of graduate school, I am an amateur photographer, an avid reader, and a creative writer of skits, poems, and short stories. After graduation, I hope to dedicate my skills towards improving the world around me whether by teaching, continuing with research endeavors, or by focusing on science communication. I am looking forward to the opportunities and experiences I will encounter as a 2018-2019 ASPB Conviron Scholar. My name is Jon Lombardino and I am currently a fourth-year undergraduate student, majoring in Genetics and Genomics at the University of Wisconsin-Madison. I consider myself lucky to not only have been born and in raised in Madison, but also for being given the opportunity to participate in the fascinating biological research underway on campus. Fascinated by how different environmental stimuli promote dynamic changes in gene expression, I was excited by the opportunity to join Dr. Simon Gilroy’s lab whose research involves investigating how plant gene expression changes in response to the stresses associated with spaceflight environments. One of my current astrobotanical research projects involves engineering GFP fusions to the promoter regions of radiation-response candidates to investigate how the Arabidopsis transcriptome changes in response to the damage induced by cosmic radiation during spaceflight. Additionally, other research projects of mine involve using RNAseq data and fluorescent microscopy to characterize how the genetic networks associated with calcium signaling change in response to touch stimuli and herbivory. My future plans consist of pursuing a PhD in the plant sciences. Currently applying to several doctoral programs across the United States, I hope to combine my interests in microbiology and plant physiology to study how calcium signaling instigates changes in gene expression in plant-microbe symbioses. Specifically, I am interested in engineering better nitrogen fixation between legumes and rhizobacteria to solve global agricultural problems. Outside of the lab, I have a passion for teaching and promoting engagement in the biological sciences. Working as both a biology tutor and teaching assistant for an Introductory Biochemistry course for the past several years has been an incredibly rewarding experience, and I hope that teaching science plays a significant role in my future as a plant scientist. Additionally, I enjoy promoting interest in the growing field of astrobotany through numerous outreach events, as well as volunteering to help construct an astrobotanical videogame aimed at teaching students about astrobotany. I am excited and honored to have been accepted as an ASPB Conviron Scholar and cannot wait to collaborate with my fellow awardees to develop my career plans and research skills. Shealyn is an M.S. student in the Department of Land Resources and Environmental Science Montana State University. She graduated from the University of Colorado at Boulder with a B.A. in Molecular, Cellular, and Developmental Biology and an M.A. in Science Education. Shealyn is interested in how plant defenses are influenced by various biotic and abiotic factors. She is currently investigating how differences in microbial community structure, driven by various cropping and termination strategies, alter wheat volatiles. She will use this information to assess how changes in the volatile profile may influence the preference of the wheat stem sawfly and consequences for its natural enemy. This work is important to building a greater understanding of multitrophic interactions in agricultural and natural systems. Before joining the Trowbridge Lab at MSU, Shealyn was a high school science teacher. She also mentored new and pre-service teachers in the STAR Program (STEM Teacher and Research), an NSF-funded program that engages new teachers in science research at national labs. Though no longer in the classroom, Shealyn is a life-long educator. She is passionate about making science accessible to all, especially to those from traditionally underrepresented groups. Shealyn enjoys all things Montana including hiking, fishing, and listening to oodles of podcasts on long ski tours. My name is Zanele Nokulunga Mthembu, born in Eshowe, KwaZulu Natal, South Africa. I am a first year PhD student at Stellenbosch University, Institute for Plant Biotechnology under Dr Shaun Peters and Dr B. Loedolff. I graduated in 2014 with a Bachelor’s degree in Biochemistry and Microbiology at University of Zululand, and further pursued an Honour’s degree in Biochemistry. In 2016 I came to Stellenbosch University to do a Master’s degree in Plant Biotechnology; my master’s thesis is on the development of the hairy root bioreactor from Stevia rebaudiana to produce steviol glycosides. Currently, my PhD project is on analysis of anti-nutritional raffinose family oligosaccharides (RFOs) metabolism in South African pigeonpea (Cajanus cajan) genetic entries and genome wide identification of RFO biosynthesis in pigeonpeas. Living in a water scarce country has triggered many questions on food security of not only South Africa but the whole world. Local farmers are faced with climate problems and poor soil conditions. There is a great demand for pigeonpea production in SA to meet the export demands globally and there is no sustained pigeonpea crop production, high quality seed production is the initial assurance towards higher output, economic returns and profitable agricultural industry. The crop is very favourable in the context of sub-Saharan Africa owing to its ability to fix soil nitrogen and its drought resistance characteristics. My research interests lie in plant development, biotechnology crop management molecular biology techniques and understanding gene expression in plants. While working on my project I enjoy mentoring and teaching undergraduate students and interns in Dr Shaun Peters’s group. I would like thank ASPB Conviron Program for offering such a wonderful opportunity to me and looking forward to be part of ASPB research community as a whole. My name is Jaclyn Noshay and I am a third-year PhD Candidate in the Plant and Microbial Biology program at the University of Minnesota. I am particularly interested in genomics and use maize as a model organism to study the maize epigenome. With an undergraduate degree in genetics, cell biology, and development I became interested in plants as model organisms through my time working in Nathan Springer’s maize genetics lab where I learned the importance of plant biology both as essential organisms for a sustainable future as well as their role in understanding genetic mechanisms. As a graduate student my interests lie within the field of genomics. I am currently using computational methods to address the question of the relative contribution of genetic and epigenetic mechanisms to variation in DNA methylation. I believe that answering this question is critical as we consider the value of DNA methylation information for predicting traits and improving the efficiency of plant breeding programs. This research has given me the opportunity to collaborate with researchers from the University of Minnesota, the University of Georgia-Athens and the University of California-Davis in order to generate and analyzing data to allow for the comparison of chromatin accessibility in diverse maize lines. In addition to my graduate research studies, I enjoy taking part in science community outreach. I am a member of an organization called Market Science at the University of Minnesota which works to bring science to local Farmer’s Markets. The goal of this program is to expose local communities that have an interest in plants to a variety of research fields in an accessible way. I am currently a Ph.D. student in Biological Sciences at Mississippi State University. I received my bachelor’s degree at the University of Northwestern St. Paul in Minnesota. Our lab (Ling Li Lab) works on improving crops such as soybean, corn and rice by utilizing the Arabidopsis thaliana orphan gene Qua Quine Starch (QQS) and also using QQS as a model to better understand orphan genes and how they arise. My interest in Biology never really took hold until late in my undergraduate life, and my interest in plant biology didn’t spark until beginning work in the Li lab. Since then, I have found the plant biology realm to be a wonderful place to explore both practical and basic scientific questions. Although I entered into graduate school knowing I wanted to become a teacher, I have begun to enjoy plant research much more than I expected and look forward to continuing my education and research career in plant biology. My name is Laura Ortega, and I was born in Rogers, Arkansas but have lived in different places throughout my life including Missouri, California, Mexico, and now Arkansas. Having immigrant parents who left their beloved country in search of a brighter future for their children, allowed me to truly value the importance of education. From an early age, I’ve always enjoyed going to school and learning. Fresh out of high school, I attended NorthWest Arkansas Community College (NWACC) where I obtained an Associate of Arts and an Associate of Science in Agricultural, Food, and Life Sciences. After NWACC, I attended the University of Arkansas where I graduated with Honors from the Dale Bumpers School of Agricultural, Food, and Life Sciences. I completed a Bachelor of Science in Agriculture Food, and Life Sciences and obtained two minors: pest management and biotechnology. During my undergraduate years, I took part in amazing opportunities provided to me by my university such as studying abroad in Belgium in the summer of 2016 to learn about sustainability and the Euro-food system. I was awarded a Student Undergraduate Research fellowship (SURF) grant in 2017 to complete my Honors thesis research involving nonhost resistance mechanisms of plants. From this research, I obtained second place in my college’s thesis competition. That same year, I was recognized with the Tri-Societies National Student Recognition award in my college. Last summer, I was a summer scholar at Cornell University and was stationed at the New York State Agricultural Experiment station (NYSAES) in Geneva, NY where I evaluated fungicide management practices to promote sustainable SDHI fungicide use for apple scab. I am the first in my family to go to college, and this August I just begun the next chapter of my educational career: graduate school. I’m working to complete a M.S. in Plant Pathology with the same professor from my Honors thesis research, Dr. Clemencia Rojas in investigating the Nonhost resistance Arabidopsis protein NHR2 and its role in mechanisms involved in nonhost resistance. When I’m not in the lab doing research, I enjoy painting, antique shopping, and travelling. My name is Susana Perez Martinez and I’m originally from Holguin, Cuba. I emigrated with my family to the United States when I was 16 years old, and settled immediately in Louisville, KY. I resumed my studies at the ESL Newcomer Academy at Jefferson County Public Schools, where I finished 11th grade and I was introduced to the English Language for the first time. Then, I attended Seneca where I finished the last year of high school and graduated with honors in 2013. During my senior year at Seneca, I was awarded numerous scholarships such as the Congressional Hispanic Caucus Institute (CHCI), the Migrant Network Coalition, and the Louisville Urban League Scholarship. Most honorably I received the GMS scholarship for my academic merits, leadership skills and community service. GMS is a full ride scholarship which funds are available for me to attend any university of my choice. Furthermore, this program gives me the funding necessary to pursue graduate studies in science and technology through master’s and doctoral degrees. I have given back to the community by meeting annually with ESL students and providing motivation, guidance, leadership, and ensuring to answer all their questions and concerns. I also volunteered as a tutor for elementary students and as a child care assistant. I enrolled at the University of Louisville (UofL) where I completed my bachelor’s degree in Biology and graduated with honors in May 2017. I participated in two plant-based research projects as an undergraduate student in Dr. Running’s lab. One of the projects focused on turning moss into algae since it gives the potential for protein expression and bio-fuel applications. The other research project concentrated on the expression of specific fungal proteins with the purpose of binding enzymes to nanomembranes, which can be used to break down plant materials. Working in the lab as an undergraduate student inspired me to pursue my PhD in molecular, cellular and developmental biology. I am currently in my second year of the PhD program, and studying the role of prenylation, along with the functional role of the prenylation components in the moss Physcomitrella patens. Because of my teaching skills professors have invited me to lecture in introductory biology courses for undergraduate students. And I have also lectured on plant development to undergraduate and graduate students. My name is Joel Rodriguez and I’m a Mexican PhD candidate. I work at UC Davis in Dr. Siobhan Brady’s lab. My academic interests can be summarized in two areas: one, how tomato roots regulate their genomes in response to their environment; the second, to understand how gene regulatory networks control cell identity. My approach is mainly computational, integrating genomic data to learn how gene regulatory networks control plant development. I am passionate for learning, with a focus on coding and data-viz. I’m a cat whisperer and like to run. Love a good board game and old school videogames. I also enjoy cooking, films, reading (sci-fi|fantasy|mystery) and playing music. Jen Schmidt is a fifth-year PhD student in Biological and Environmental Engineering at Cornell University with minors in plant biology and genetics. She graduated with her B.S. in Science of Earth Systems Engineering and M.S. in Bioengineering from Cornell in 2014 and 2016, respectively. Both of these degrees focused on the interplay between biology and the environment with a particular interest in how engineering can play a role in improving crop yields and crop nutrition. Jen has always been interested in plant-related research and began working in labs as an undergraduate. She participated in a grueling heat stress experiment for petunias and analyzed root development of young poplar trees. Jen also tested the viability of an organically-sourced hydroponic nutrient solution for greenhouse production of baby leaf spinach. Her last undergraduate project aimed to improve selenium nutrition in crops by identifying selenium uptake and tolerance genes in Arabidopsis thaliana mutants. In graduate school, Jen’s research is geared towards utilizing plants in new and unique ways to meet society’s growing demand for food and other products. In particular, Jen’s research focuses on large-scale production of high-value proteins for industrial, medical, and agricultural applications. She is using chloroplast-engineered tobacco plants as the platform for this project because of the extensive knowledge base of this high biomass crop. Jen’s main goal is to optimize this technology to improve recombinant protein yield and plant health. On the molecular scale, Jen is focusing on improving regulation of transgenic gene expression. At a broader scale, Jen is also fine-tuning nutrient inputs to optimize plant growth. Outside of the lab, Jen enjoys sharing her love of science, particularly of plants, through outreach events. She has participated in family science events like Judy’s Day and Kids’ Science Day at Cornell University. She also developed and ran physics and astronomy workshops for kids at a science center in Pennsylvania. For the past three years, Jen has been a part of a 4H program in environmental engineering for high school students. Jen has also mentored undergraduates through the Society of Women Engineers and Diversity Programs in Engineering. She currently runs a blog for orchid enthusiasts through www.basorchidcare.com, and writes more formal pieces for the American Orchid Society’s Orchids magazine. You can reach Jen through her LinkedIn account: https://www.linkedin.com/in/jen-schmidt-9b442940/ or follow her orchid-related adventures on Twitter: @ForeverOrchids. Aimee Schulz is a fourth-year undergraduate student pursuing a Bachelor of Science in Genetics and Agronomy at Iowa State University. She intends to join a PhD program in Plant Genetics in the fall of 2019. Aimee’s research experience started her freshman year when she joined an evolutionary maize genetics and genomics lab led by Dr. Matthew Hufford. After managing the Hufford Lab’s 2016 summer field and growing over a hundred maize landraces from Mexico and South America, Aimee discovered her passion for the genetic diversity in maize. She traveled to UC Davis as a sophomore for a Big Data Hackathon and attended the 2017 Maize Genetics Conference in St. Louis, Missouri. During the summer of 2017, she was a plant breeding and research intern with Beck’s Superior Hybrids and assisted with their nursery on Kauai, Hawaii this past winter. In her junior year, Aimee began an independent research project studying inbreeding depression in Zea mays ssp. parviglumis populations in southwestern Mexico. She found that the populations experiencing the most habitat degradation suffered from the greatest effects of inbreeding depression. Aimee presented her findings as a poster at the RF Baker Plant Breeding Symposium in Ames, Iowa, the 2018 Maize Genetics Conference in Saint-Malo, France, and as a talk at the National Conference for Undergraduate Research in Edmond, Oklahoma. Her resulting manuscript will be submitted for publication this fall. Over this past summer, Aimee participated in the NSF REU program at the Donald Danforth Plant Science Center where she studied maize root architecture in Dr. Christopher Topp’s lab and solidified her desire to pursue a career in plant science. By the end of the summer, she found that her genes of interest likely control root architecture and identified root architecture variations in inbred lines, landraces, and in the teosintes. Aimee is continuing to collaborate with the Topp lab on her summer project throughout the current academic year. Her long-term goals include becoming a university researcher where she can combine her passions for research in plant science and teaching. When not in the lab or studying, Aimee enjoys taking her one-eyed rescue Miniature Horse, Lulu, to nursing homes and competing with her in National-level horse shows. Stuti Shrivastava is pursuing her PhD in Plant Biology at the University of Illinois, Urbana-Champaign (UIUC). She has a Bachelor in Biotechnology from the University of South Australia, where she identified and characterized the role of microRNAs in breast cancer. After graduation, she worked on the identification of biomarkers at various stages of esophageal cancer before pursuing her MS in Biology at New York University with an emphasis on computational biology. This was the first time she started working with plants and learned how plant science can address current and future issues surrounding food insecurity. She performed a cross-species network analysis between rice and Arabidopsis and identified nitrogen (N) responsive gene biomodules. This work found N-regulated genes in an agronomically important crop plant, rice. Stuti’s current graduate work at UIUC focuses on the regulation of nitrate uptake in Arabidopsis, at both transcriptional and post-translational levels of regulation. For this research, she used the Crops in silico modeling framework that connects models across spatial and temporal scales. She is integrating models of gene expression and regulation, translation, and nitrogen uptake kinetics to better understand the multiscale nitrate uptake dynamics in Arabidopsis. She is also a certified Carpentry instructor and teaches programming skills in Bash, Git, Python and R. She has also mentored students from the local community college as part of an outreach internship focused on generating gene regulatory networks using open-source online tools. Stuti is working towards a career that combines teaching, research and outreach activities, that will help educate the community about the importance of plant science. Chris Sorich developed his interest in science in high school while inviting others to debate in Socratic dialogues on a variety of topics ranging from evolution to how to live a happy life. He desires to offer explanations to questions pressing on the minds of botanists while also exploring questions few have the curiosity to approach. His future goal is to be a part of doctoral research that is at the intersection between molecular biology and ecology. He also wishes to pursue a career in plant science that encourages him to ask questions beyond the scope of a single discipline. After completing his associate’s degree, he receives a liberal arts education at Moravian College located in Bethlehem, PA. While there, he has developed a background in molecular biology and has had lab experience purifying and sequencing DNA. His past research was a collaborative project studying how the phosphorylation of a Gap Junction (GJ) protein, Connexin 43 (Cx43), affects its function. Since then he has expanded into field-based science and has learned a great deal about phycology while studying in Oregon. He also plans to visit Costa Rica to learn about model sustainability and tropical ecology. Chris currently does research at the Lehigh Gap Nature Center (LGNC) along Kittatinny Ridge. Much of this land was devoid of vegetation, stripped of topsoil by erosion and heavily contaminated with toxic heavy metals resulting from decades of zinc smelting at the New Jersey Zinc Company operations in Palmerton, PA. This land is a part of the Palmerton Superfund Site. Revegetation efforts began on the site in 2003 as a series of test plots using warm-season native grasses. Over the summer Chris monitored plant biodiversity at the site which helped assess the utility of prescribed burnings applied. He continues to work with the Moravian’s Dean of Natural and Health Sciences to identify why the LGNC is experiencing a decline in grass coverage over the past years. No establishment or rare occurrences of some species of grasses have been noted. One possible reason for this die-off is that the annual production of seeds from the grasses have low germination capacity. This could be due to zinc toxicity in the seeds, from contact with zinc in the soil, or low soil pH. The results of these experiments will guide future land management decisions at the site and provide insights into whether soil amendments and/or reseeding is needed. Hello, my is Tatyana and I was born and raised in Oakland, CA before moving to California’s Central Valley. I have since returned to my roots and I’m currently a junior attending Mills College, a historically all-women’s college in Oakland, CA. I am a first-generation student of color pursuing a Bachelor of Art in Biology with a concentration in Ecology, Evolution, and Behavior. I am currently part of a research team, led by Dr. Sarah Swope, that focuses on three endangered serpentine endemics: Streptanthus glandulosus niger, Streptanthus glandulosus secundus, & Calochortus tiburonensis. We are interested in inbreeding depression, contrasting genetic structure in species with differing forms of rarity, and constructing conservation plans in partnership with US Fish and Wildlife. Population genetics, conservation biology and serpentine endemism all have a special place in my heart. I love working in the field collecting demographic data, conducting pollinator observations but also working in the lab extracting herbarium and contemporary DNA and using microsatellites to measure genetic diversity in a population. Throughout my career I hope to use my experiences as an underrepresented group in STEM to help young scientists who come from similar types of backgrounds thrive in this field. 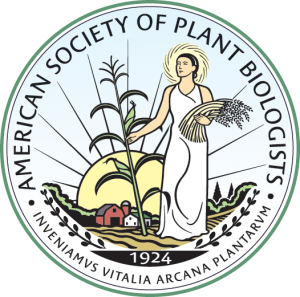 I am looking forward to the ASPB Scholar’s Program and also excited to create professional relationships with other plant biologists. Hannah Thomas is currently a second year PhD student at Cornell University where she is studying within the Plant Biology program. She graduated from Pittsburg State University in Kansas where she initially began studying biology. Under the advisement of Dr. Neil Snow and Dr. Virginia Rider, she was able to find her passion in plant biology. As a part of her time in the Midwest, she took part in a NSF-REU under Dr. Blake Meyers at the Donald Danforth Plant Science Center where she was introduced to the world of plant small RNAs. Following this experience, Hannah has joined the lab of Dr. Margaret Frank at Cornell University were she studies the trafficking of small RNA in grafted fruit crops. Hannah is working on understanding the factors which influence long-distance RNA mobility, by utilizing grafting as a key tool. She also has a strong interested in under-investigated tropical crops like cacao and coffee. As a graduate student, Hannah has placed an important emphasis on science communication. She has taken part in Cornell- CommSciCon and volunteers at the local Free Science Workshop for minority youths. As a program coordinator for the Tokyo University of Ag and Tech Exchange Program, she organized a town-hall style event where 20 participants from 8 different countries were able to create engaging presentations and present them to real audiences in Ithaca, NY community. She is currently working to build new projects in the Cornell graduate school community as well as engage with local schools. Science outreach will remain an important aspect of her scientific career in the future as well. I grew up in San Jose, California. I attended San Jose City College and Evergreen Valley College after high school. I transferred to the University of California, Davis to study biochemistry and molecular biology for my bachelor’s degree. Here, I was a McNair Scholar and worked as an undergraduate researcher in Dr. John Harada’s lab studying transcriptional regulation of seed development in Arabidopsis. I received an ASPB Minority Affairs Committee Recognition Travel Award and attended my first Plant Biology meeting in Providence, Rhode Island. My experience at the 2013 conference solidified my interest in pursuing plant biology for graduate school. I am currently a PhD candidate in Plant Biology at Michigan State University working as a graduate research assistant under Dr. Curtis Wilkerson. My research interest is in redesigning plant cell walls for the purpose of producing more degradable biomass for biofuel. I am particularly interested in understanding how monolignols, which are building blocks for the secondary cell wall polymer lignin, are translocated from inside the plant cell where they are synthesized into the apoplastic space where lignification occurs. An understanding of this process could dramatically improve biofuel conversion technologies. I am working towards a career in academia to become a faculty member. I am involved with the Alliance for Graduate Education and the Professoriate (AGEP), an NSF funded program aim at supporting underrepresented minorities pursuing academic careers. My volunteer experiences include serving as an AGEP steering committee member and editor for the AGEP Bulletin, Science Today. The bulletin is a peer-reviewed scholarly publication which highlights rigorous and innovative scholarly research conducted by members of the Michigan State University AGEP community. I am passionate about mentoring and working with underrepresented minority students in STEM. Over the past three summers, I’ve worked as a Graduate Student Facilitator for the Summer Research Opportunities Program (SROP), which is an REU program at Michigan State University. One of the most unique experiences I’ve had as a graduate student so far was going to Capitol Hill in Washington, D.C. to meet with the offices of my state representatives to advocate for support towards scientific research and program initiatives such as AGEP which help train and support underrepresented minorities in STEM. Mishi Vachev is a senior studying Molecular Biology at Eckerd College in St. Petersburg, Florida. Despite the lack of a plant science major at her college, Mishi has been studying plants since her freshman year and has participated in several research opportunities. She assisted with Sorghum microbiome association at the USDA Plant Gene Expression Center in collaboration with UC Berkeley, as well as participated in an REU program at the Boyce Thompson Institute at Cornell University. At BTI, she performed a molecular characterization of bacterial speck resistance in a wild relative of tomato. The following spring, she presented a poster of her work at Eckerd’s Natural Sciences Research Symposium where she was awarded first place in Best Poster Presentation. She is currently working on her senior thesis which involves creating molecular markers for Fom-1 mediated Fusarium Wilt resistance in melon. Alongside research, Mishi has been promoting science outreach by volunteering in the St. Petersburg area. She spent a year teaching elementary school children about nature and science through their school garden. For the past two years, she has been volunteering at the St. Petersburg Science Festival to help expose children and adults alike to science and current research. This year, she helped organize the event as the Director of Activity Planning and Operations. At Eckerd College, Mishi participates in the Ford Apprentice Scholars Program, a program aimed towards gearing students for graduate school and a career in university-level teaching. Following her graduation in the spring, Mishi plans to attend graduate school for plant breeding and hopes to further her education and interest in plant science. I am an undergraduate student from the south of Spain. I am currently in the final year of the Bachelor in Biochemistry at University of Málaga. I have been very interested in plant sciences since I was in high school and even more so after I visited an Agriculture institute in my country. During my Bachelor, I have been very lucky to get a position as intern at professor Eduardo R Bejarano and Araceli G Castillo’s lab, which focuses on geminivirus-plant interactions. My project, concretely, is about how viruses can influence recombination processes in plants, which I find a very interesting question with a lot of biotechnological potential in gene targeting. My scientific experience has also been enriched with a summer internship with Dr Sebastian Schornack at Sainsbury Laboratory Cambridge University. His group is interested in the mechanisms employed by detrimental and mutualistic microbes to interact with plants and how they converge and differ. I have also worked in plant immunity, which a topic I am very passionate about, at Kamoun Lab (The Sainsbury Laboratory), where I screened nematode effectors for cell death suppression activity. And we eventually found one suppressor which was very exciting! Science communication is also something that I believe is very important in today’s society, especially regarding plant science. I am a member of the science association Quintescience, which aims at delivering scientific knowledge to the public in Spain. My current role is managing our social media, together with other members of the communication team. We are still a young association, but as we develop, we hope to make an impact in public awareness of science. My goal is to pursue research in plant science, with a focus on plant-microbe interactions, while engaging in science communication. I believe this Program is a fantastic opportunity to learn about diverse paths in plant science and improve my scientific communication skills and connect with other people who share a passion for plant science, which I very much look forward to. I thank the ASPB for allowing me to be part of the Conviron Scholars Program. My name is Allyson Weir, I am a graduating senior from California State University Fullerton majoring in biological science with a concentration in molecular biology and biotechnology. I have been conducting independent research in the lab of Dr. Melanie Sacco for five years now, and am currently identifying genes that are differentially expressed in Nicotiana glutinosa when infected by members of the Polerovirus genus. I am interested in applying to PhD. programs in plant breeding and genetics, and would like to conduct research on creating improved germplasm that reduces the number of resources required to grow agricultural crops. I am interested in the use of crop wild relatives as a source of genetic variation, and novel genes. I grew up in Davis California, and in my spare time I love being outdoors—hiking, swimming, gardening—you name it! I also enjoy doing crafts, cooking, and reading. I am endlessly curious about and inspired by the stories plants can tell us about ourselves, the worlds around us, and the forces that move and shape life across varying dimensions of time and space. As a plant biologist, I am driven not only by my deep-rooted passion for science and photosynthetic creatures, but also a desire to promote the wellbeing of human and other natural communities through applied research, education, equal opportunity, and policy. I pursued my undergraduate degrees in biological sciences and environmental studies at New York University and the University of Pittsburgh, and I currently attend the University of California, Berkeley as a PhD candidate in Plant Biology in the Department of Plant and Microbial Biology. My research in the laboratory of Devin Coleman-Derr explores how host and environmental factors impact the plant microbiome. Specifically, I investigate the effects of host evolution, agricultural soil management practices, and heat and drought stress on the below-ground microbial communities that associate to wheat and sorghum. I utilize 16S and ITS2 rRNA gene amplicon sequencing, metatranscriptomics, and microscopy to address these questions. Outside of lab, I promote science education through various outreach efforts, including Bay Area Scientists in Schools, the CLEAR Project (Communication, Literacy, and Education for Agricultural Research), and PlantingScience, and serve in UC Berkeley’s oSTEM (out in STEM) chapter. I also enjoy practicing music, crafting, reading, and meditating. I am a third-year undergraduate, studying for a BA in Natural Sciences (Plant Science) at the University of Cambridge. I grew up in Wolverhampton (West Midlands, UK) where my exposure to plant science was limited to a somewhat uninspiring school curriculum. Since coming to university, however, I have absolutely fallen in love with the subject! In the summer of 2017 I attended the Gatsby Plant Science Summer School Programme and this year I participated in the John Innes Centre International Undergraduate Summer School. For the latter, I spent eight weeks in the Caroline Dean and Martin Howard Lab, under the supervision of Dr Rea Kourounioti, helping to investigate the molecular and genetic bases of natural variation in the vernalisation response in Arabidopsis thaliana. For my final year project, I am working in the Sainsbury Laboratory (Cambridge University) in the lab of Professor Dame Ottoline Leyser. For my project I am investigating the behaviours of auxin transporters from the model grass Brachypodium distachyon in the stem tissues of transgenic A.thaliana. Outside of the lab, I am actively involved in science communication because I am enthusiastic about helping members of the public become more informed about, and excited by, science. I feel this is particularly important for me as a plant scientist, given the undeserving neglect of plants by many schools and popular science outlets. I firmly believe that better public understanding of plant science must accompany the deployment of new advances in plant science that are required to feed our growing population. At university, I am an active member of Cambridge Hands On Science (ChaOS), a voluntary student group that demonstrates hands-on science experiments to members of the public. I am currently trying to design more interactive plant-related experiments for the group to use. As a Committee Member of CU Nature Society, I am trying to increase the society’s repertoire of Botanical events, largely by fostering more collaboration with Cambridge Botanic Gardens. I am also the Biological Sciences Editor for BlueSci (Cambridge University’s student science magazine) and this is another platform through which I try to deliver interesting yet accessible science to members of the public. After I graduate, I plan to pursue a PhD and from there a career in research, all the while remaining as active as I can in science communication and outreach.